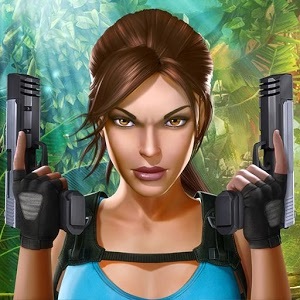 Lara Croft: Relic Run has you running through a jungle and several ruins, avoiding obstacles for as long as you can. The game gives you the option to upgrade gear (if you wish), and it’s easy to control: you change lanes by swiping left or right, tap the screen to shoot at opponents or other objects in your way, and you can collect coins as well – adding to the challenge of playing the game. But what sets this apart from the standard endless runners is the variety: the number of unique obstacles in the game is huge; aside from running and jumping you can also ride vehicles through jungles. And it’s not all running either as there’s plenty of action too – Lara takes on dinosaurs and other creatures while armed with grenades and other weapons. The game doesn’t have a timer, and controlling Lara is easy as the response is sensitive to your swipes and taps. The one thing you need to prepare for is the fact that there is a lot of new material thrown, so be on your toes. The game also has some Facebook integration built in, so that makes the game even more fun. If you like Lara Croft and endless runner games, this is definitely worth checking out.